Meet Hope, mother of Samantha and Michael, wife of Rob. When Hope was just twenty-nine, her life tragically ended, leaving her young children motherless. At six and four years old, Samantha and Michael had only just begun to know their mother. 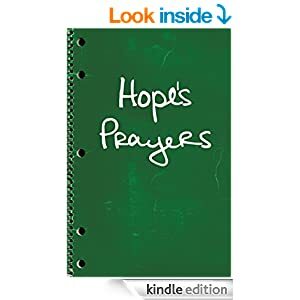 In these pages, Rob recounts the years of Hope's adult life; a story rich with her prayers to God and evidence of His work in her life. Listen in as Samantha and Michael learn about Hope's deepest struggles, spiritual growth and health problems, and learn how these three things were divinely woven into something beautiful. As you read the story of Hope's Prayers, you'll laugh, you'll cry, and you'll be challenged to seek God and glorify Him—in all circumstances. Hope's Prayers tells of a young mother taken from her family far too soon by a devasting illness. The hopes and dreams that she wanted to share with her children over the years, have been made possible by this touching story. Told by her husband and author, Rob Pfeiffer, he includes many details and lessons to help the children remember their mother. These details include her faith in God, love of her family, and her bravery during her illness. The author, though he is mainly talking to his children, drew me in their lives. He tells of their struggles, their joys, and their hopes for the future with God leading the way. What impressed me the most about Hope, was the legacy of love and caring she leaves behind. My hope is that I will also leave a legacy as rich as hers.